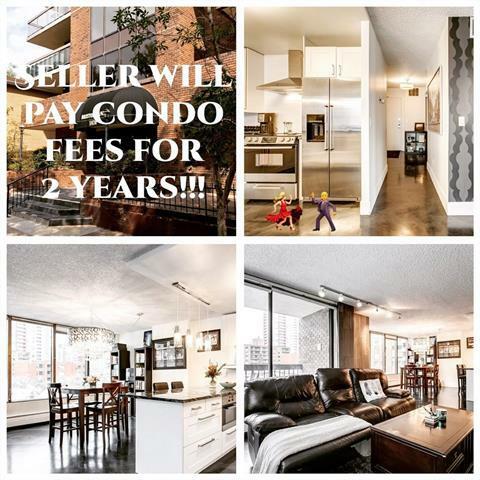 SELLER WILL PAY TWO YEARS OF CONDO FEES! 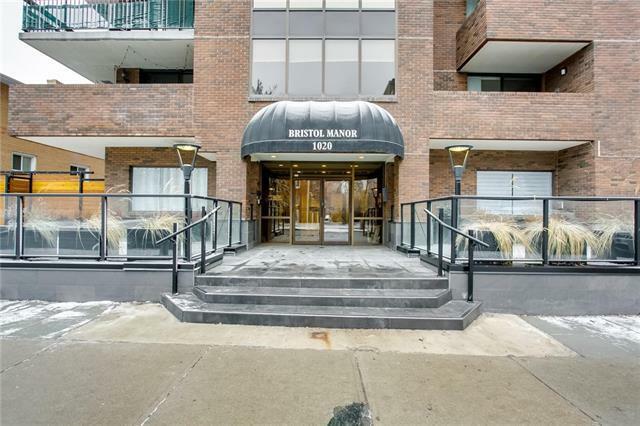 Welcome to Bristol Manor, a well maintained, rarely listed, DOG FRIENDLY, brick estate building with only 4 units per floor, mature residents & high owner occupancy. 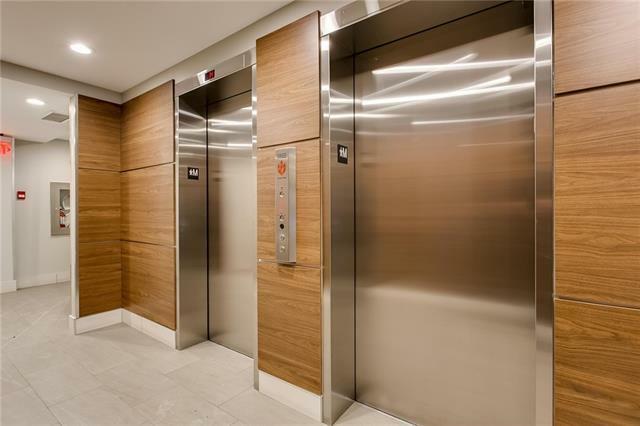 This 2 bedroom condo features top of the line.. Well EVERYTHING!! Polished CONCRETE FLOORS, WOOD BURNING FIREPLACE with a GAS LIGHTER, a HUGE MASTER with a large WALK IN CLOSET! A big bathroom with a cheater en-suite pocket door, a LINEN CLOSET & 2 SINKS! THE LAUNDRY ROOM, WOW! The NORTH WEST CORNER WRAP AROUND BALCONY gives you 270 degree views & over 140 sq feet to enjoy them on! This is a ONE OF A KIND condo that your friends & family will LOVE! And with over 1250 sq ft of OPEN FLOORPLAN, it is PERFECT for entertaining! If that isn't enough space, there is always the ROOF TOP PATIO! ALL of this AND underground PARKING! 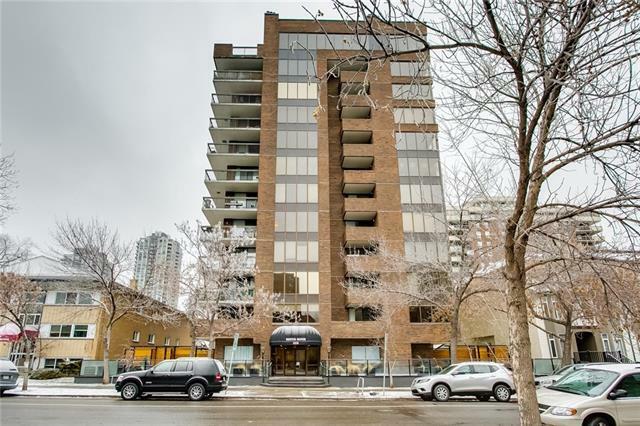 Located within blocks of 17th ave, the Off-Leash Dog park, Restaurants, Shops, Galaxy Diner, Pubs, Downtown & the CTrain! So park your car & enjoy living in the Heart of it All!